Okay, I have internet again!! Let the fun begin!! THANK YOU for everyone that played in the first challenge....we had 63 entries!! You kept me on my toes for sure as I didn't want to get behind on checking out all the wonderful inspiration. Out of those entries 18 of you requested to be on the CiSC DT!! How exciting to have so many interested. My goal is to contact the ones that were selected sometime tomorrow or Sunday at the latest. Once they have accepted or declined I will announce the new CiSC DT! So please be checking your email in the next few days! If you not picked for this go around don't worry as the DT only last 4 months (till November) so you will always have another shot. Trust me picking 5 out of 18 is not going to be an easy task. Thank goodness the girls on CDS DT are helping me but still not enough slots for everyone that I would love to have. Enough about that time for CiSC #2 - SUMMER TIME!! 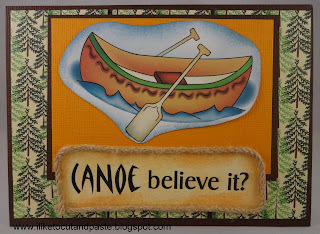 That can be a lot of different things but as long as you can explain how it is "summer" theme to you then it will be good to go! 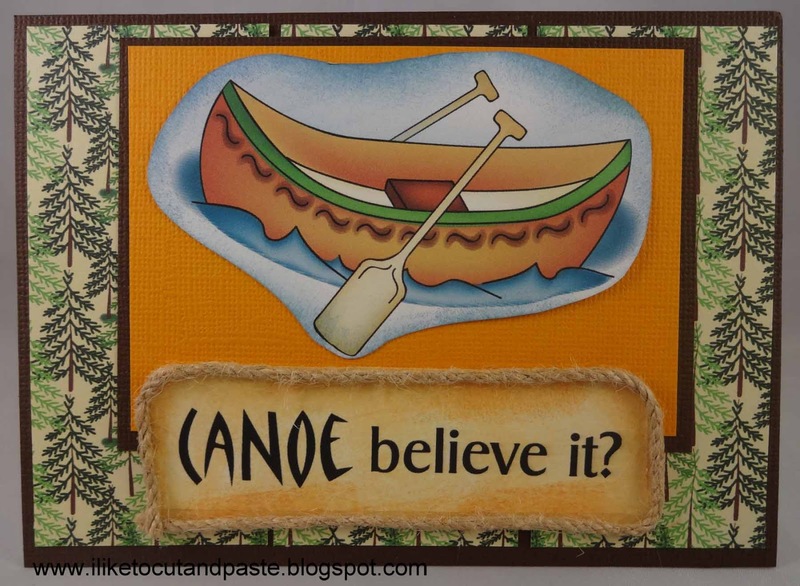 But if you need some inspiration I have just the featured stamp for you!! 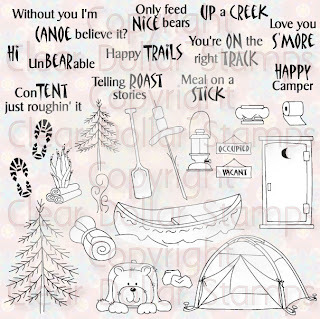 It is an older one but it is so darn cute with so many different possibilities I decided to bring it out and show it off!! 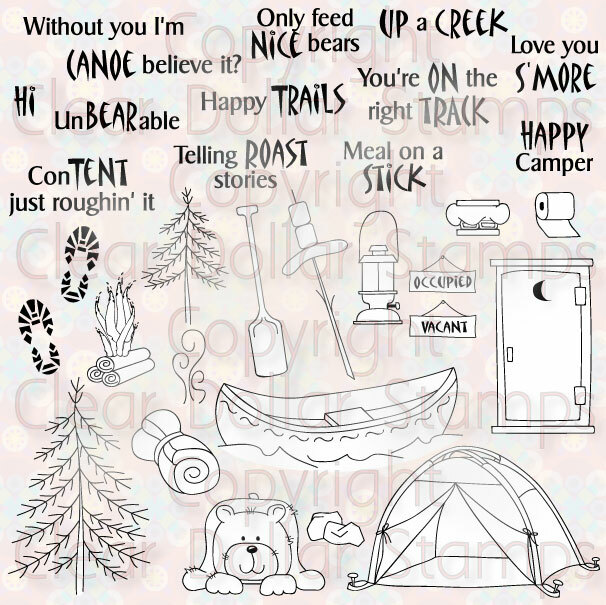 Happy Trails Camper (Colored and Outline Versions) (or if you buy it early so you can play with it you can pick one digital stamp of your choice) AND a Guest DT spot! We all used the featured stamp this month BUT you DO NOT have to use it unless you want to! It was wonderful having Dawn for 2 challenges thank you so much!! And she did a Scrap Book page!! 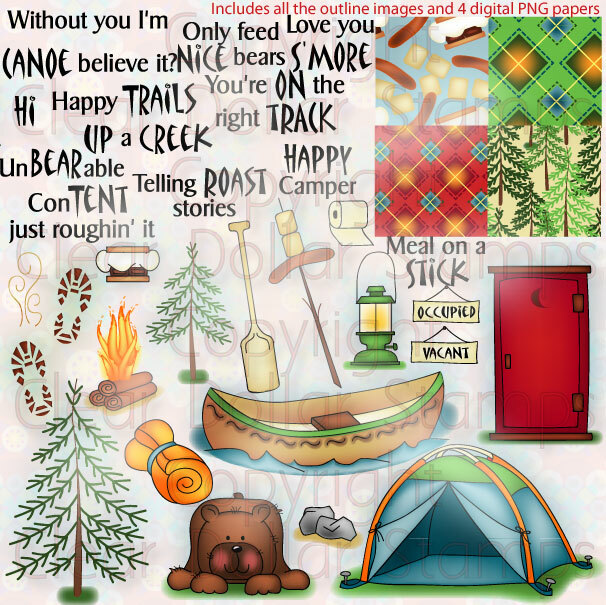 See how versatile Digital Images can be!! Nancy has been WONDERFUL to work with for the last two months as a Guest DT member! Thank you for sharing your wonderful work with us!! It has also been a pleasure to work with and showcase off Katy's work. Thank you for helping me these past 2 challenges!! 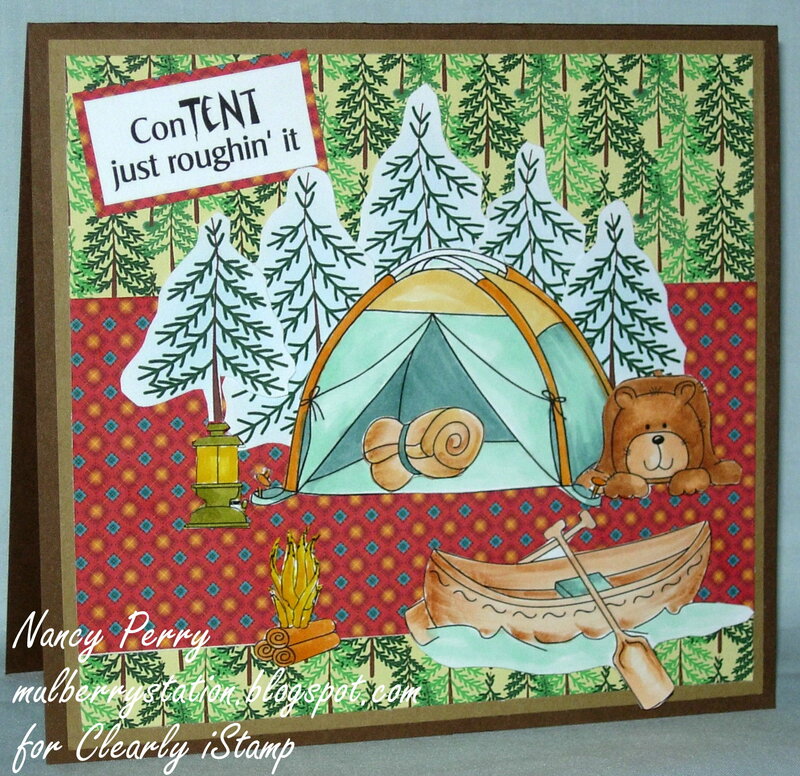 I used the sketch from Sweet Sketch Wednesday #213. 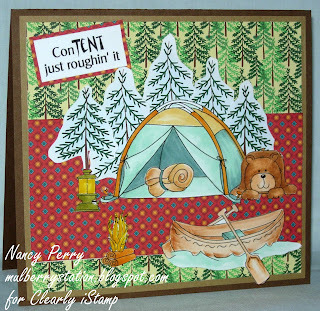 Come play as Clearly Digi Stamps is sponsoring the challenge!!! How frustrating! Hope they can fix it and get you up and running again real soon. Hope it is fixed soon. Nothing more frustrating. Love the idea of a Summer Time theme! Thanks for the fun challenges!